I love Fridays. They mark the end of a week. The beginning of a weekend. The start of extended time with my sweet little family. Friday night is family movie night. We love Fridays. 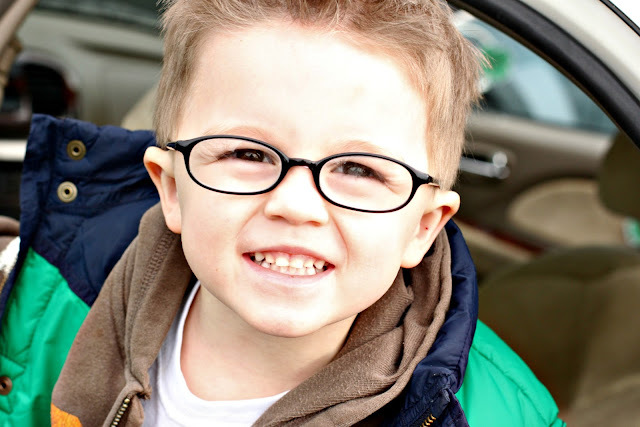 Here on the blog we love Fridays because it is time for Fun with Kids Fridays. We had really fun this week with our fun activity. 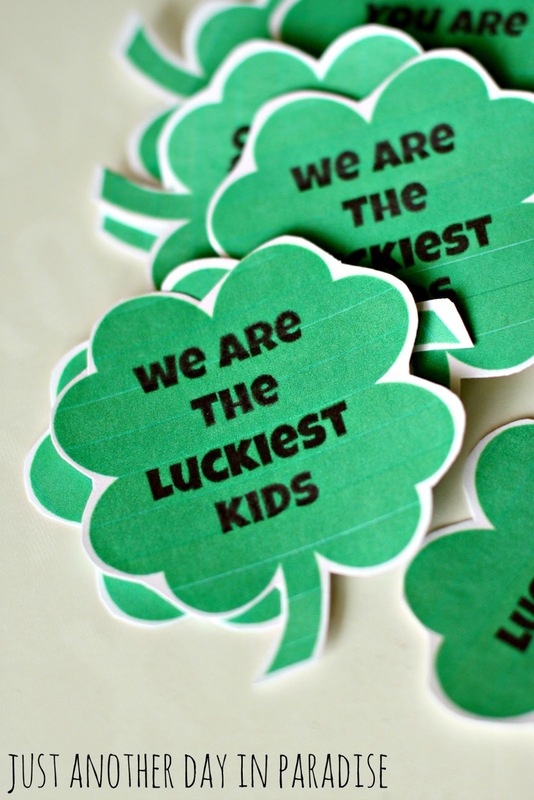 This week my Little Men were Little Leprechauns since St. Patrick's Day is so close. We clover attacked our most favorite person. We wanted him to know just how lucky we feel to have him. We printed and cut out these four leaf clovers that I made in PicMonkey. We gathered up our clovers and sneaked over to Dad's work. While Hunky Hubby was nestled in his office hard at work, our busy Little Leprechauns were hard at work themselves. 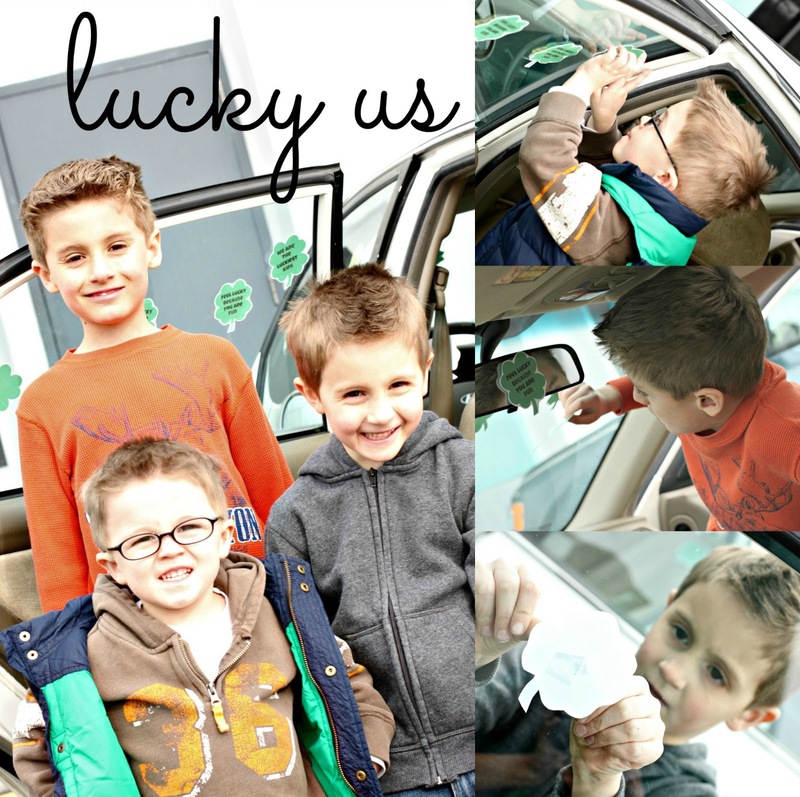 We taped our lucky clovers all over the inside of Hubby's car. We enjoyed ourselves quite a bit. The boys had fun and hubby really enjoyed his surprise, which made the whole experience even better. Who do you feel lucky to have in your life? 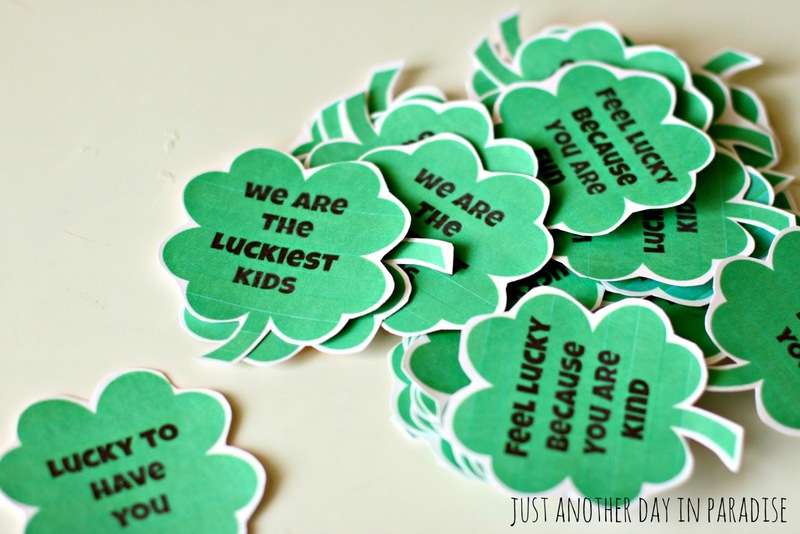 Want your Little Leprechauns to throw their own clover attack? 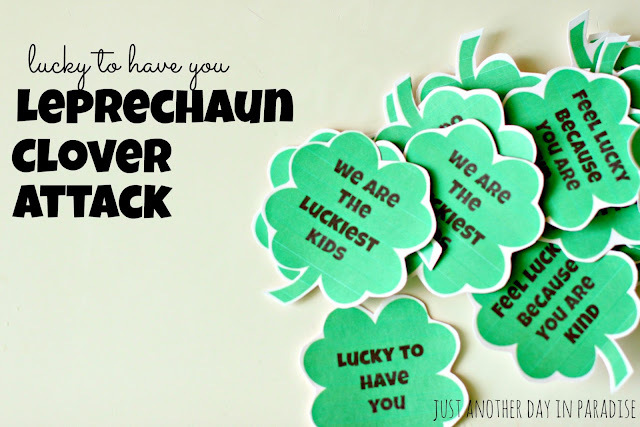 Just download the Leprechaun Clover Attack Tags HERE. Print them out, cut them and tape them up. Make someone's day. Oh my gosh, how adorable is this?! 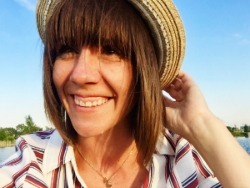 I've never seen anything like it, and I can't wait to try it out on Friday with teachers... husband... etc. Thank you so much for sharing such an adorable idea!